NAME……Aisleen Harte ( nee Regan ). OCCUPATION (student or other)………Montessori teacher. MEDALS WON (with club, county & school)…….2 x Cumann na mBunscol, 1 Leinster schools with Eureka School Kells, 3 x Intermediate Club Championships, 3 x League titles, 3 x Rosemary Regan Cups, 1 x County Underage All-Ireland runner-up medal, 1 x championship Shield medal. TOUGHEST OPPONENT (within or outside club) ……Eileen Rahill, Oldcastle. MOST MEMORABLE SPORTING MOMENT (any sport)… Winning Club Championship with St. Michaels for second year in a row in 2007 & 2008. FAVOURITE FOOD / DRINK……I’m not fussy. FAVOURITE FILM……Crazy Stupid Love & What Happens in Vegas. FAVOURITE MUSIC ARTIST / GROUP……Anything I can dance to. 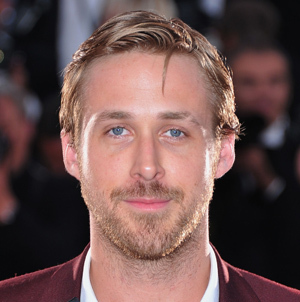 WHO WOULD BE YOUR DREAM DATE……Ryan Gosling. FAVOURITE NIGHTCLUB……Too old for that now. ROMANCE, ARE YOU SINGLE OR ATTACHED……Attached to Brian. WHICH TEAM MATE THINKS THEY ARE… “SIMPLY THE BEST”………“Sure we’re all CLASS”. APART FROM GAA WHAT’S YOUR HOBBY…..Hanging out with the girls and munching all around us.